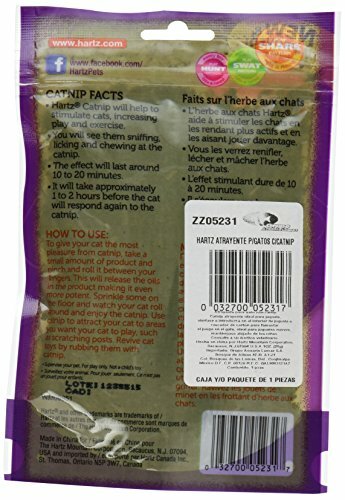 Categories: Catnip, Cats, Custom Stores, Pet Supplies, Pet Supplies: International Shipping Available, Self-Service, Special Features Stores, Specialty Stores, Treats, Why Keep Them Waiting? | Prime Free Two-Day Shipping. 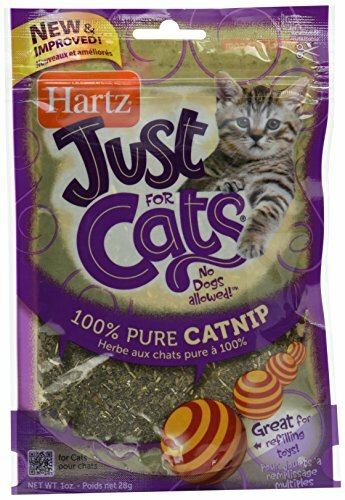 When Hartz 100% Catnip comes out, nap time is officially over. 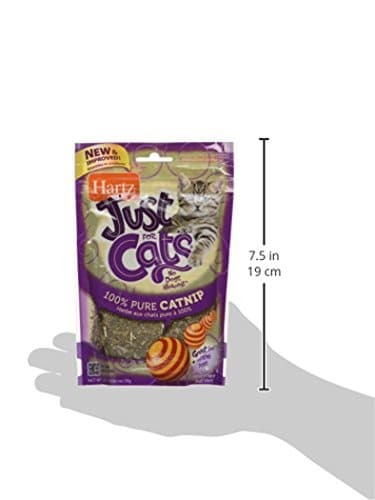 Made with just a single ingredient, it’s just what your kitty needs for a super-charged play session. 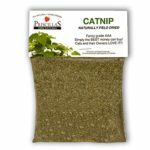 All natural, and non-toxic to pets, catnip mimics the stimulation your furry friend’s ancestors experience from tracking down prey in the wild. A pinch of this irresistible nip goes a long way. 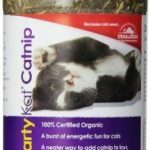 Sprinkle it on a scratcher, stuff inside a toy, or lightly dust your indoor cat’s favorite lounging areas to spark a round of exercise.